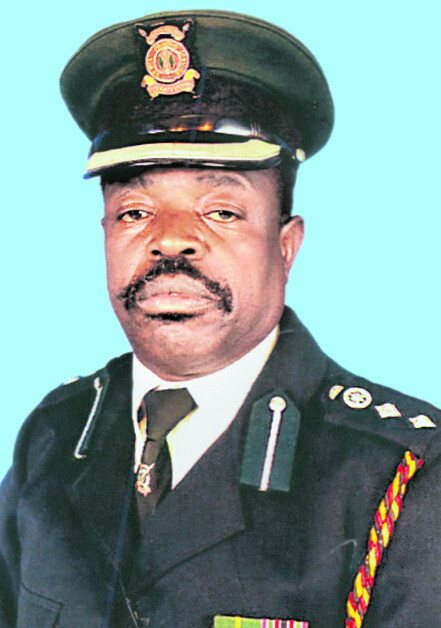 We the family of the late SSP (Rtd) Stephen Wesonga Maloba express our appreciation to all who took time to come and condole with us, pray with us and support us following the passing away of our beloved Dad. We were encouraged and strengthened by messages received of comfort, your prayers, physical presence and financial support throughout the trying time. This enabled us to give a dignified sendoff to Dad. Special thanks to St. Stephen SCC - Lake View Estate, Naivasha, St. Francis Xavier Catholic Parish, Naivasha, Regina Caeli Catholic Parish, Karen, Mary Help of Christians Parish, Ndundu, St. Matia Mulumba Parish Thika, Kenyan Catholic Community (KCC) Atlanta GA, Kenya School of Monetary Studies Staff, Gilgil Sub-County MOH Office, Moi Girls Isinya Class of 92, Barclays Bank Staff Bishops Gate and Sarit Centre Branches, Apexcom Ltd, Naivasha Girls Class of 2002, Xavier Oldies, St. Catherine of Siena SCC Kitengela, The Twelve Ambassadors, The Illawara Business College, Sydney Australia, St. Benedict Association of Young Adults (SBAYA) Sydney Australia, Wellspring Girls Class of 2007, Pink House Hostel - JKUAT Class of 2012, Archbishop Ndingi School Naivasha Class of 2005, Elite Chris Primary School Community Gachika, St. Faustina Catholic Church - Khaimba, St. Mary’s Senior Seminary Molo Class of 91 and many of you whom we have not listed. Also grateful to H. L. John Obala Owaa – Catholic Diocese of Ngong, H. L. Maurice Makumba - Catholic Diocese of Nakuru, H. L. James Wainaina - Catholic Diocese of Muranga, H. E. John Cardinal Njue - Archdiocese of Nairobi, H. G. Zacchaeus Okoth - Archdiocese of Kisumu and H. G. Martin Kivuva - Archdiocese of Mombasa as well as the clergy and religious of the respective Arch/Dioceses. Dr. Peter Waweru Munyua, Dr. Hazel Kariuki, Der Kleine Storch, St. Jacobs Parish Langen, Germany, Bung’ale Bidii Self Help Group - East Wanga. Our extended family, In-Laws, neighbours, friends and well wishers. Memorial Mass will be held on Friday 15th June, 2018, at 10.00am, at his home in Khaimba Village. In God’s hands you rest; in Them Wescos hearts you will always remain.